Never use liquid flea killer on a pet squirrel under eight weeks of age. For young squirrels over eight weeks, try applying just one drop of flea killer instead of the recommended dosage. Plastic syringes are available free at most pharmacies. A pet squirrel is a challenging addition to the home. It is important to remember that most states require a permit to keep a wild animal as a pet, so check local laws before getting a squirrel. If your pet contracts flea mites, it is important to take care of the problem immediately. Fleas can spread and affect other animals in the home. Choose a liquid flea killer made for kittens. There are several liquid flea killers that are applied to the back of the animal, such as Advantage and Sentry. Follow the package instructions to determine how many drops are needed. It is important to use the amount of flea killer recommended for a kitten of the same weight as the squirrel. 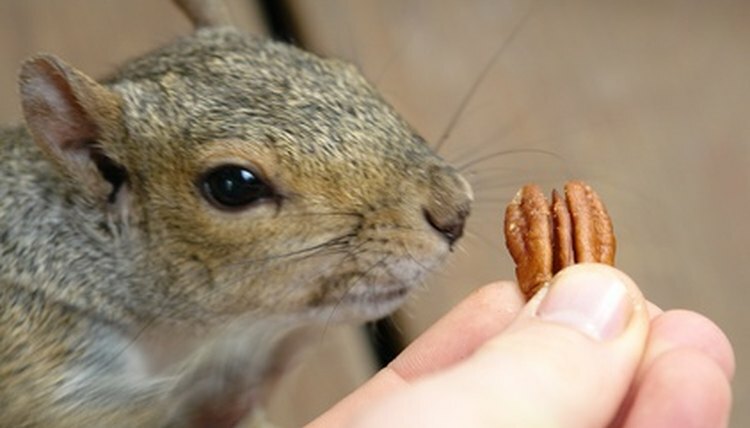 If the squirrel is two pounds or more, the average application is about two drops per month. Apply the drops to the squirrel’s back. Use the plastic syringe (with no needle) to measure and apply the exact amount recommended on the packaging.